Marsa* does not seem to have much to offer to the naked eye, except for the heinous traffic jams that most know it for. No one would imagine that there’s a magical craft awaiting discovery. If you look closely, you’re bound to find one fine craftsman, labouring in his wizarding workshop while clouds of dust fly from the roadworks nearby. Only few of those particular about neatness would venture anywhere close to this dusty area. But I have. Beyond grey garage doors, I found a shoemaker. The man that emerges from behind the colourful mounds of shoes has big blue eyes that radiate the welcome warmth of a sunny day in the early summer. Joseph Farrugia, Malta’s very own shoemaker, is the wizard behind the magical crafting of unique soles for your feet – you, along with your shoes, are special. His son doesn’t seem inclined towards learning the craft either. ‘He’s studying graphic design,’ the grey-haired wizard informs me with a smile. Joseph’s been a shoemaker since he was fourteen. He hopped from one factory to another until, almost two decades ago, the factory he worked at in Marsa met its end after his boss and long-time friend passed away. He has since taken up the same quarters for his own solo shoemaking adventures. 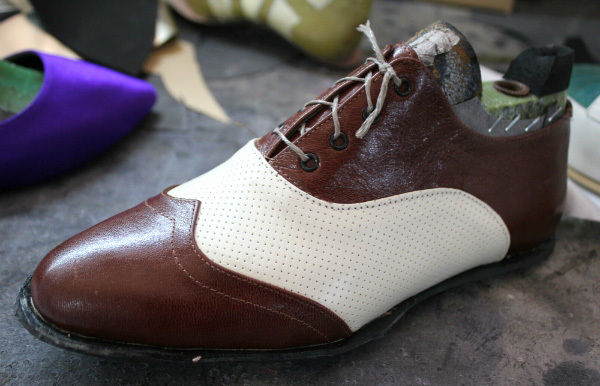 In Joseph’s terms, luck has much to do with glue as it can take a long while for the glue to dry up and solidify the shoe shape. So, to get a head start, he’s usually at the shop at 7am and doesn’t close up till 6pm, except for lunch. And just like that, a 56-year old made me feel like a lazy sack of bones at 22. 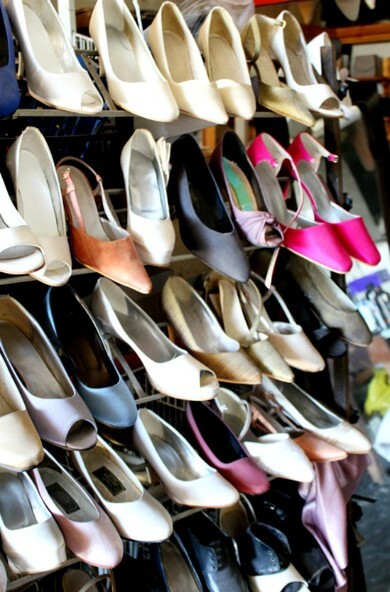 Having worked solo for quite a while, Joseph has quite the dreamy repertoire, boasting a grand collection of gorgeous brogues, wedding heels, kitten heels, boots and Oxfords. My eyes gleamed with excitement. All of them were handmade. I look down at my feet in shame. I wore one such kind, mass-produced and utterly soulless. The soul is in its being handmade. The craftsman pours his soul into his creation with a certain passion and skill that no automated environment can give. Once the material, heel and other particularities are sorted with the customer, he sketches the shape of the foot and takes the measurements. Convenient, especially for people who’ve very specific needs for their feet. Then, the making of the perfect shoe-model begins. Each of these models, called a ‘last’ by gents of the trade, is made from maple wood and is carefully moulded to a specific shape, size and width. Joseph has about 300 lasts stacked in what looks like a huge bookcase converted for shoe purposes. Measurements, style, materials, last – check. 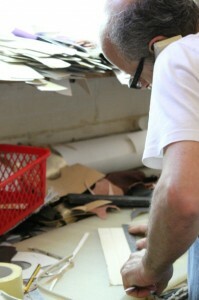 Next, the shoemaker cuts out patterns from the materials and assembled. Joseph’s hands dance over the leather to eventually form an upper for the shoe. Then, he knifes an insole into shape, and places it underneath the naked last, which is then clothed with the upper. The leather hugs the last, tugging between the calluses of the shoemaker’s hands until he staples it and seals its fate. The bottom is attached, and to it, the heel. ‘When the glue dries up, which will be in a couple of hours, I’ll do the laces. Black should do nicely,’ he grins, rubbing his hands as he gazes proudly at the brogues. Joseph’s life’s work is magical one that makes both him and others happy. And as the number of craftsmen like Joseph dwindle, so will the craft and so will the passion of the personality behind the creation. You’ll be one customer among many, just like your shoe. Giuliana Barbaro-Sant is an MA student of English and the Media at the University of Malta. She researched and wrote this article for an assignment on blogging. *Since Giuliana wrote this article, Joseph has moved his workshop to Qormi. Find out more about Joe and his work via his Facebook page.